Welcome to the October 2016 Monthly Income Report for AliRaza.co. This is the 13th Monthly Progress Report of this Blog. The purpose of Monthly report is to review the amount of work I do every month, along with website, social media and subscribers statistics. In other words, I critique the performance of myself and my blog every month to see where i’m standing. For those who are struggling in their online career, then let me tell you that this report will open up new ways to earn money online on internet for you. Or Click here to see all the monthly reports. 2 Posts Created In The Month of October, 2016. 6 Comparison with the Month of September 2016. 20 Plans for November 2016. As with every month, i try to improve the User Experience on my website through different techniques. Since it means improving user experience which also technically means with increasing engagement with your audience. This month, I decided to go with a completely new theme. 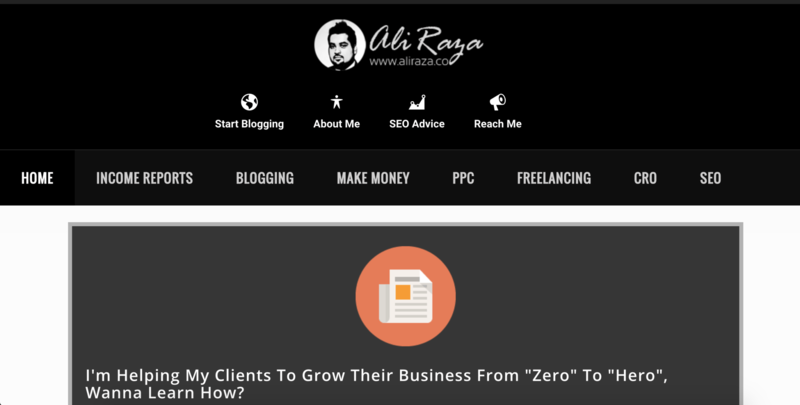 Abdul Samad of BornBlogger did an awesome job by installing it for me. Make everything more convenient and easier to navigate. I had an ample amount of drop in new email opt-in’s this month, since i removed the email pop-up last month due to complaints from visitors however i expect this new theme will help me in improving more subscriptions. In anyway, let me know your thoughts about how did you find the new design of the site and what more changes you would like to see on the site?! 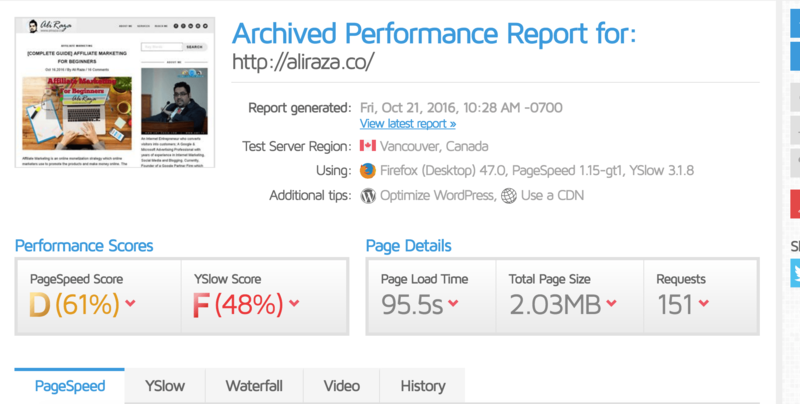 If you were struggling or getting a harder time to load the site, finally i have a good news for you, the site is heavily optimized and loading time is reduced by much. I know for every few seconds delay, you lost ample of sales and conversions, keeping that in mind, the loading time of the site is heavily reduced. I have posted before and after pictures to see. Also did you notice any difference in site loading time? Cool Isn’t it? Let me know your thoughts! Posts Created In The Month of October, 2016. In the Month of October, 2016. The site has addition of 4 new posts and an update to 1 old post. September Monthly Report was the regular monthly report last month, where i discussed the usual strategies, website tweaking, along with traffic, stats and revenue details. I hope everyone is aware of what i do cover, but this report has some insights on backup, so do check it, if you haven’t still. Are you struggling with your Blogging Career? I mean it’s nothing wrong, everyone get’s de-motivated at some time, running and maintaing a blog isn’t easy, after all this is not Hollywood or Bollywood! :D.
Did you ever feel like quitting from Blogging? or Blogging Not Working For You? Then You Need To Checkout this article. Actually this is the ONLY Guide You need to Ever READ about Affiliate Marketing! 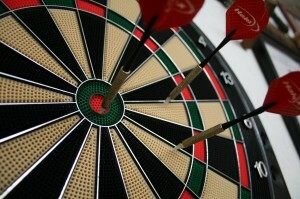 From definition to advanced metrics all about Affiliate Marketing is covered in it! I have also included some live case studies, various examples, some secrets of generating sales with some recommended readings! 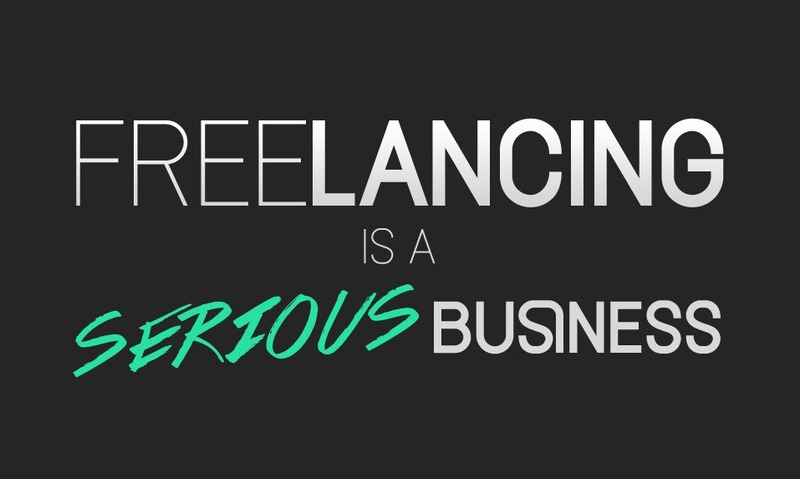 So Freelancers, you want to succeed. Good. I mean you should be, why not you? Choosing Freelancing as your career might not be your biggest success, rather your biggest success is to become a pro freelancer! Actually, This article will teach you exactly what your approach should be as a freelancer so do check it out! Let’s admit, I spent a week last year in writing this article and this month, I tried to update everything with the latest features this tool is offering. Do checkout the post, a lot of content is updated. Analysing the Traffic Statistics is a great way to measure how does your blog perform as compared to last month. I do this every month to see where I’m standing. If you are not doing this activity yet, I suggest you to start critiquing your web statistics, as it’s a great way to find out, how you are performing. If you have just started your blogging venture, then rather focusing on earnings, your core focus should be on traffic stats, having more subscribers over Email and Social media. Here are the traffic stats for the Month of October, I received a total of 2136 number of unique visitors, 2701 Sessions and 4,222 Page Views. For a quick revision, the number was standing at 1816 Unique Visitors with 2323 Sessions Last Month. If you are struggling to get traffic and looking for ways to increase your website traffic, do checkout different ways to get more traffic to your website or blog. Let’s have a look on the traffic sources to get an idea on what are the top traffic acquisition sources for this blog in the month of October. Comparison with the Month of September 2016. Let’s welcome the 17% Increase in traffic, this what not what i expected, but still a positive increase, let’s welcome it. The average time session dropped little bit but this is not something i will be worried at the moment, I also installed new theme, improved the site loading speed, i will monitor how does this impact on the average site time. Social Media is still the main source of traffic acquisition, this month i saw a 22% increase in it. Organic search visitors also increased by 20% to 590 which is a good sign. Referral traffic dropped little bit. If you are searching for ways on how you can increase traffic, then checkout my post on ‘How To Increase Traffic to Your Blog‘. The September Monthly Income Report won the show! The Complete guide to Affiliate Marketing For Beginners came to second! I spent ample of days working on it, if you haven’t still visited it, do check it. An old article on How To Fix An Adwords Suspended account? got the third most views number, looks alike i will be editing this article to add new updated content. Let’s have a look on the subscribers to find and analyze where I’m standing as compared to last month. If you are going to start blogging, then forget earnings and this is the place you need to target in. Forget Income, Focus Subscribers, this should be your ultimate goal with blogging. Facebook – 3632 (Last Month, I was at 3602.) +30 This Month. Google Plus – 328 Followers (Last Month I had 324 Followers) – +4 This Month. Twitter – 483 Followers. (Last Month i had 469 Followers) – +14 This Month. 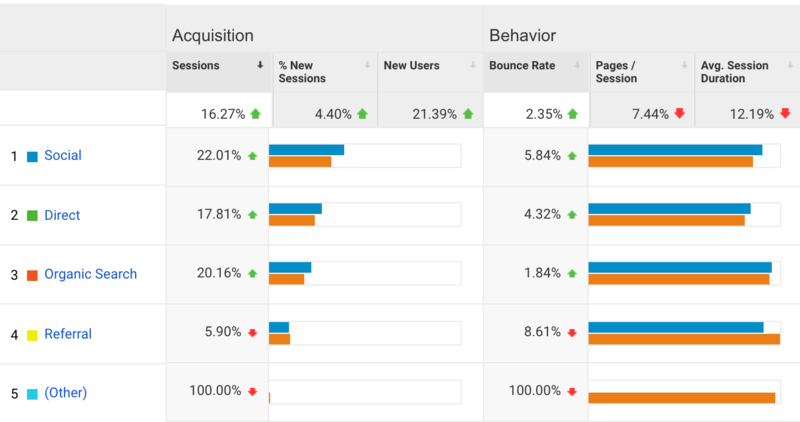 The stats results were normal as like usual months however the removal of Pop up plugin for email signups has significantly decreased the number of new opt in’s. I hope the new design will help me in getting back to the momentum. Let’s have a look on the traffic I received from Social Media Traffic, last month in October. Social Media traffic is slowly picking up again but its no way near to what i saw in august or earlier. Facebook won the show again with 95% of Social Media traffic coming through it, however the traffic was down as compared to past month performance. Despite Increase in the number of followers for Twitter, I observed a significant drop in it. Google Plus visitors spent the most time on the website, interesting. What is Vkontake? Heard it’s for first time.. In October, I was being mentioned at four different places. First of all, I was mentioned at Matthew WoodWard Income Round up. You are such a motivation, Thanks again for mentioning my blog report. 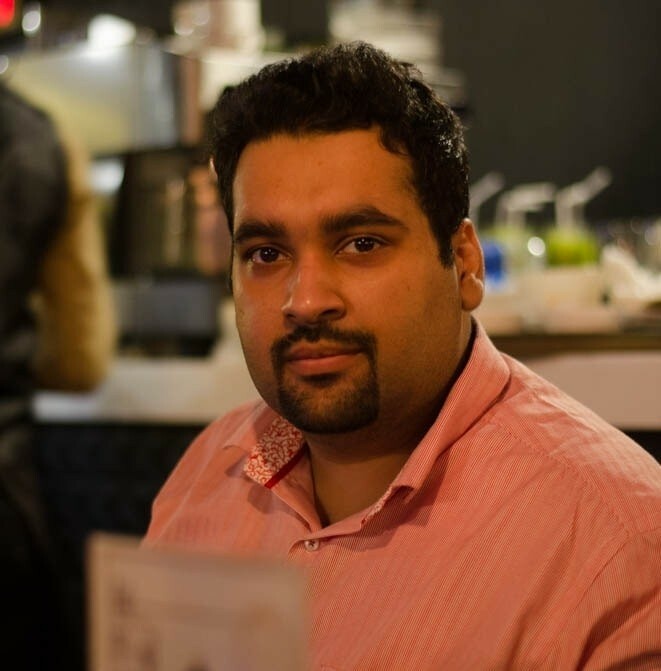 Then Abdul Samad Essani (an awesome buddy too) did an Expert Roundup on What is Google Friendly Site Design?, Thanks Abdul for another awesome roundup on your website. Anmol Singh, an upcoming pro blogger from India did a great job and took an awesome interview of mine! I have best wishes for him, good luck and thanks for taking the interview. Lastly Karamath Sheik did an awesome interview of mine, the questions were solid and to the point, I really enjoyed. You can check the interview by clicking here. If you want to feature my opinion on your roundup or if you want to take an interview, do contact me. If you have a question to ask from me, You can contact me via the form and I will be happy to feature it on my website or you can write it down in the comments section and i will get it featured in the next month report. Please note that, I prefer featuring such questions which are not a particular niche oriented and can help wider audience. This is a developing section, will get it updated within 24 hours. Finally we are on to the income segment.Please keep in mind that I do have an online advertising agency as well but i keep earnings of that agency, separate. The results for different affiliate programs are as follow’s . If you are looking for ways for earning money via your blog, then checkout my How To Earn Money From Blogging Post! This month, consultation revenue improved to $400. Thank you everyone for your trust. Please keep in mind that I do have an online advertising agency as well but i keep their earnings separate even if that is of just consultancy. Branding Services which Includes Brand Positioning, Segmentation & Awareness. Digital Marketing Training Event at Your Location. Please contact me though for further details. Freelancing, freelancing and freelancing. Most of the people were of the view that why i have started freelancing when you are already running a digital marketing agency. The answer to that is that freelancing helps me to remember from where i started everything. It’s a great learning, more then earning, the learning process when you work as a freelancer and as a digital marketing agency head, both are different things. This month, I was only able to earn $0 from freelancing services, the fact is that I have to manage an agency as well , however i’m willing to generate more work this month. This month, there were no specific expenses. P.S. Just for a re-cap, it was $700.96. last month, so it’s a negative trend, but let me tell you that the time you spend on your website in a particular month doesn’t have any major impact in the earnings in the short run. Goal Checkups are some sort of motivation for me. I keep a check every month to see what I’m doing with my blog. Last month, I had few goals for October, Let’s see how much successful I was on them. For November, I plan to write at least 5 posts, God help me please. I’m also planning to install SSL Security on the website in November. Testing more CTA’s, obviously will write a complete case study once i’m finalize with it. Doing more blog commenting, appearing in more interviews or roundups! Wish me a best of luck in all these things, thank you. ‘Stay Hungry. Stay Foolish’ – Steve Jobs. The success lie’s in continuous improvement, learning out new things, testing and never getting satisfied with what you have. Goals are made to be broken, I know i will break some goals tomorrow but then I will create new goals too and thats how you remain motivated. Anyway, How was the blog report for the month of October, 2o16? As always, I’m open to criticism, what are your thoughts on my blogging strategy? Did i miss something? What do you want me to add in my monthly reports article? Every appraisal and criticism is welcome here, please do comment on what you think. If you are interested in starting a blog for your own or you want to have an online presence, or you as a company want’s to engage your audience with a blog, why don’t you have a look on my tutorial for a complete blogging series which will help you to start your blog in just 15 minutes for a fairly cheap price (the low price is only through my link), For your information, if you will buy 12 months of blog hosting via my Bluehost link you are going to get 1 free domain as well, and the cost is going to be dirt cheap at annual package and it’s fairly easy to earn money from blogging too if you have a self hosted blog and you know how to monetize it well, also if you have bought it from my link and still having troubles, then reach me for a FREE setup, Good luck! Thank you and hopefully sure in the upcoming weeks. I wonder did you check my previous articles on SEO? The theme looks so classy and the UX is also good. You did a good job this October. I wish you have even better November. Ha! Writing 5 articles for November already seems do be a difficult job, if you like me, are having multiple blogs but I hope you get that done. Thank you Swadhin! Glad to know that you liked the new theme. Yes, last month was better, i think it’s reflection of elections in US which has caused reduced earnings, however i look forward to a positive report next month. Count me in as a new subscriber. I’ve just ‘restarted’ my blog. Reading this post has benefited me a lot. I’ll keep reading your monthly round up to see what’s working for you and what’s not. I’m a beginner who’s working hard to learn blogging in a professional way. Having you around is a blessing. It was a pleasure to work with you, I enjoyed everything from theme to loading time. Thanks a lot for believing in me. And thanks for using my theme on your awesome blog. Thank you Abdul for writing your thoughts and your welcome for the theme, indeed it’s a good one. Wow. So much motivation in one post. Keep up the good work. The new UI looks great. I noticed that you killed popups. Thank God. Esp on mobile. It was my pleasure that you find time from your busy schedule for an interview that is inspiring my audience. Best of luck for your blog. Thank you Anmol! Glad to know. Stay blessed. I have seen many income reports but yours is more inspiring. Even your income report was in depth. Gr8 efforts and all the best for the future. Your income report has motivated me to work hard on my blog. It is good to see you rocking the blogging world! Thank you and InshaAllah! Looking forward to meet you soon! Thanks for sharing information about monthly income.your true income report on website will build confidence in reader first then convert into business. i think next coming months will be more profitable compared to past months. Your’s welcome Rudra! For sure, Looking forward to future payments. Thank you Kash! Oh i see. Thank you so much for sharing your loading speed stats this is really a big leap. I can see that the speed has gone up by double I think there is much that the theme really does with regards to the blog speed the better the theme the better will be speed of your blog. It is really an eye opener for us that are looking at thing that will improve blog speed.